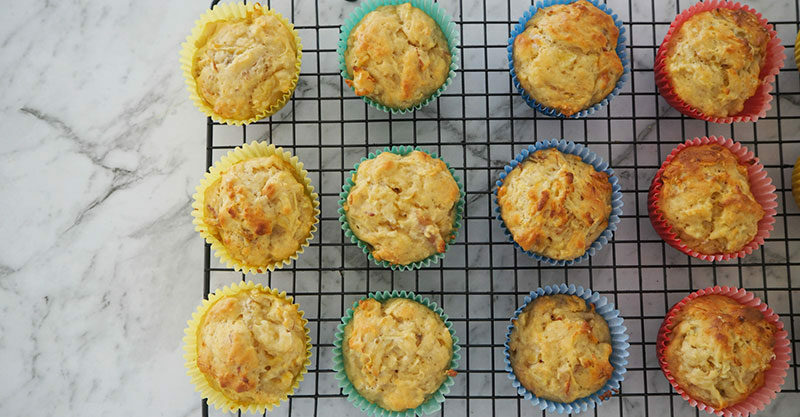 Muffins are one of my favourite type of recipes to make with my kids and these Apple and Banana Muffins couldn’t be any easier! There are lots of jobs for the kids to help you out with (mine love to mash the banana!) and they take very little time to put together. 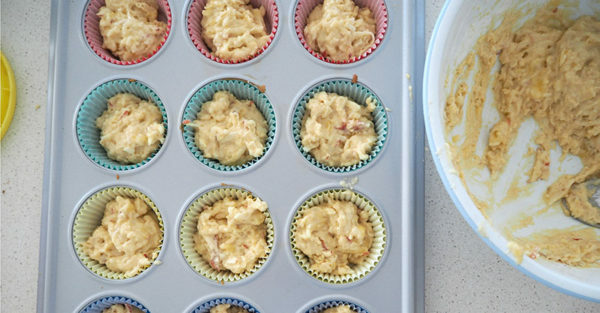 When you are choosing bananas to use for this recipe, try to use bananas which are as brown as possible (they will be sweeter) as there is no added sugar in these muffins (so they are great for younger kids too) and their sweetness comes from the honey, banana and apple. 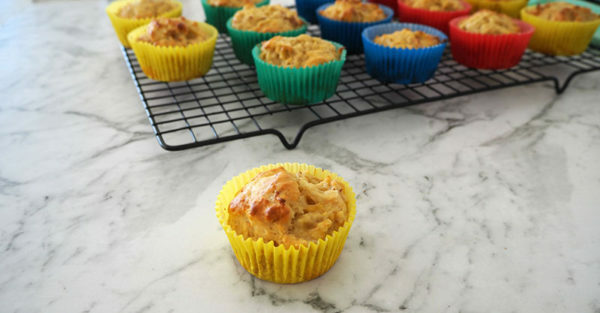 You can also make these Apple and Banana Muffins ahead of time and freeze until needed. Preheat your oven to 180 degrees Celsius fan-forced and line 2 muffin trays with paper cases – you will need approximately 18. 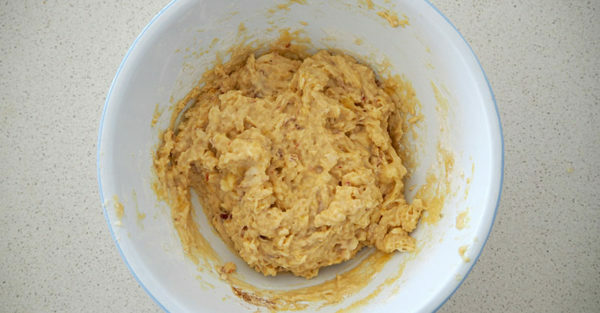 Place the bananas into a large mixing bowl and mash using a fork. 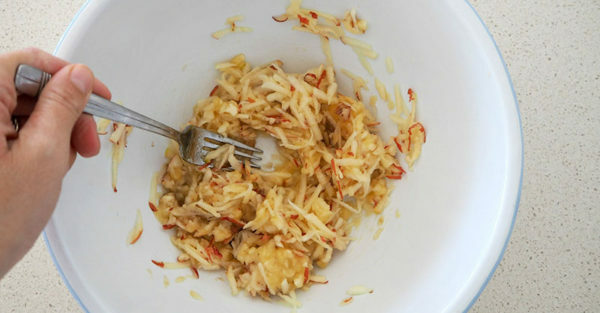 Grate the apple into the same bowl and mix to combine. 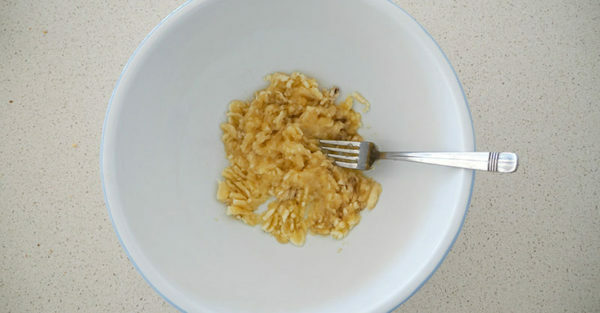 Place the honey and butter into a microwave-safe bowl and cook for 30 seconds or until the butter has just melted. Stir to combine. Add the self-raising flour, vanilla extract, cinnamon, eggs and melted ingredients to the bowl with the banana and apple and stir to combine. 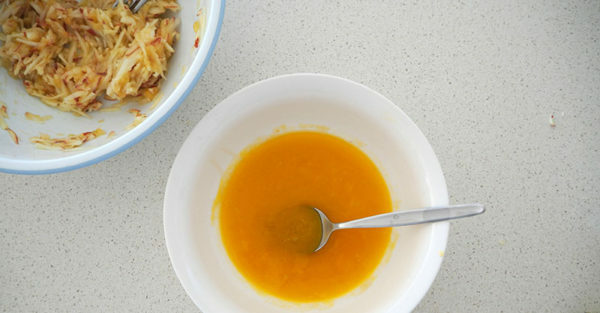 Divide the mixture amongst the paper muffin cases and place into the oven to bake for 18 – 20 minutes or until cooked through when tested with a skewer. Allow the muffins to cool in the muffin trays for 10 minutes before carefully transferring to a wire rack to cool completely.